A couple weeks ago, we took a look at the bottom 4 teams in the A-10 (who had 1-4 records at the time), and examined who had the best chance to move up the standings. Well, four weeks later, I say it’s a good time to take a look and see how they are doing. The Colonials were the most promising of the four teams, but things just haven’t been going there way as of late. Losing 5 of their last 6 games, they just can’t get on the right side of the win-loss column. Sitting in dead last right now, this is definitely not where they expected to be this season. 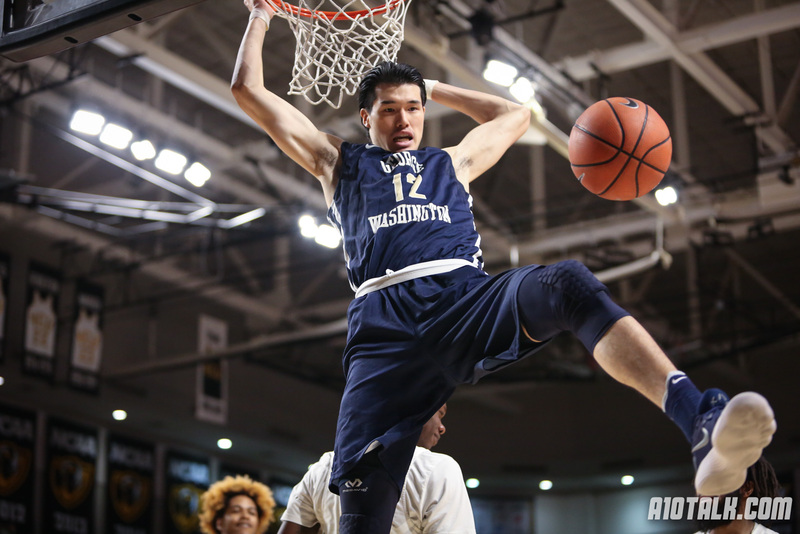 The bright spot, of course, has been the incredible play of Yuta Watanabe, who leads the team in points and rebounds this year. But, what really has held them back this year has been there inability to win on the road. They are 0-8 on the road this season, losing said games by an average of 17.8 ppg. The Explorers were riding a 4 game losing streak, which included two straight overtime losses. Since then, they have gone 3-4 in conference play. B.J Johnson being healthy has definitely helped them recently, but they are facing the same problem that the Colonials have… which is there inability to win on the road. La Salle has a 1-9 record on the road, which includes those two overtime losses to Duquesne and UMass. In reality, if a couple plays here and there would’ve went the other way, the Explorers could be in a completely different position than they are right now. They have there next three games at home, and it will be interesting to see how they fare. Winning 4 of there last 5, the Billikens are starting to develop a strong chemistry. The Billikens have achieved the most out of these four teams, and they still have a ton of potential moving forward. Goodwin posting 28 against La Salle should scare the other A10 teams. Heck, if Saint Louis would’ve beaten VCU in that overtime game, they would be in the top 4 right now. Ultimately, the Billikens are looking really strong, and if they can stay out of foul trouble, the A-10 better watch out. I wanted to end with the Rams, just because of how interesting their past two weeks have been. This was a team who only scored 41 points on Duquesne in their first meeting, and then on Saturday, without Chartouny, they put up 80 points. They have won 3 of there last 4, and it looks like they are starting to gel. Watching them in warmups, they seem to have a certain calmness around them, and it showed in the game on Saturday. They set up the gameplan, and they executed it better than they ever could’ve asked for. The Rams are not going to be flashy, that’s just not their style. But, as the A-10 is beginning to notice, they are not only much improved, but on a roll, and that can be a deadly combination. Mike Macesich is a current Undergraduate at the University of Pittsburgh. Mike has covered the Colorado Rockies over at Roxpile.com, and is currently working with Pens Labyrinth as a Site Expert and Horseshoe Heroes as a Contributor! But of course, he loves covering the best conference in Basketball, too. After their worst home loss since 2002, where does GW go from here? Nice article, but if you ever want to be taken seriously as a writer, you need to learn the difference between “there” and “they’re”.